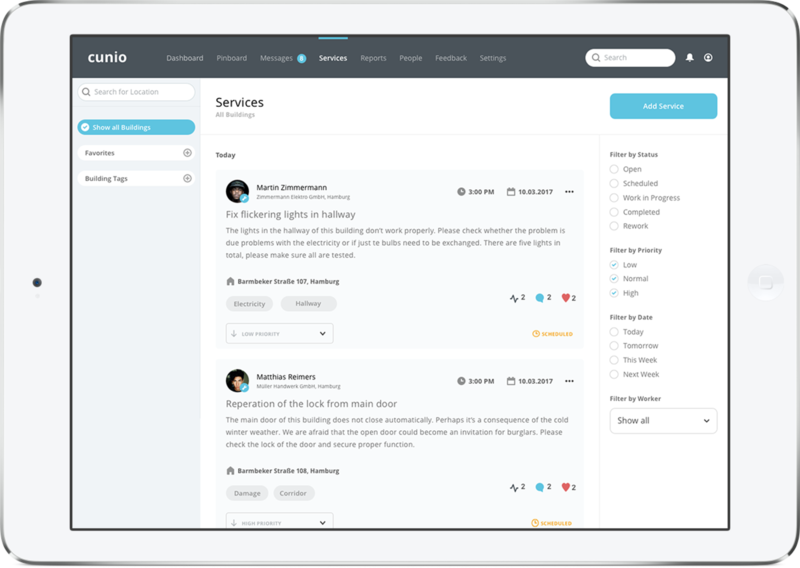 Whether you need to coordinate services, appointments or customers – organize everything regarding your services via cunio. Get directly in touch with any client, minimize effort in organization and have more time for your services. With cunio you receive all relevant information regarding your services structured, quick, clearly laid out and direct – all contacts always available. 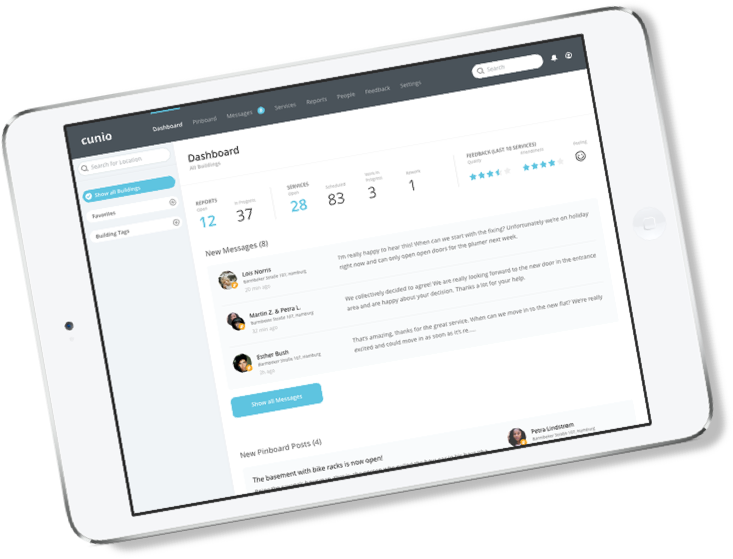 Get cunio into your team – a strong partner. 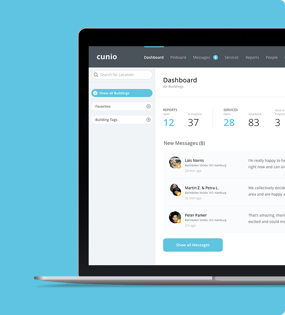 Connect all employees via cunio, cleverly coordinate services and organise appointments quick and easy. With the integrated messenger you communicate with your clients and their tenants easy, direct and mobile. Stay on track with all reports, upcoming services and activities – anytime and location-independent. The digital notice board. Announcements are easy, direct and transparent now. 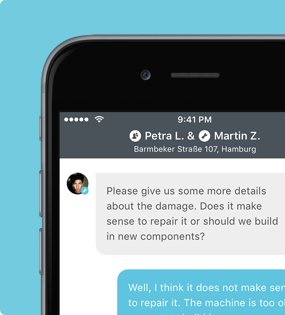 cunio is mobile and available for IOS and Android. 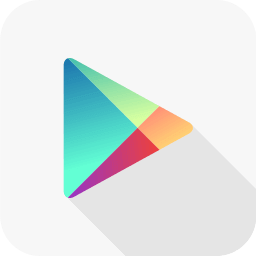 Take advantage of all functions and use it conveniently also on your PC or Mac. Register with cunio and reexperience your daily routine. It has never been easier before. Get registered now only with a few clicks. Apply cunio to your requirements. 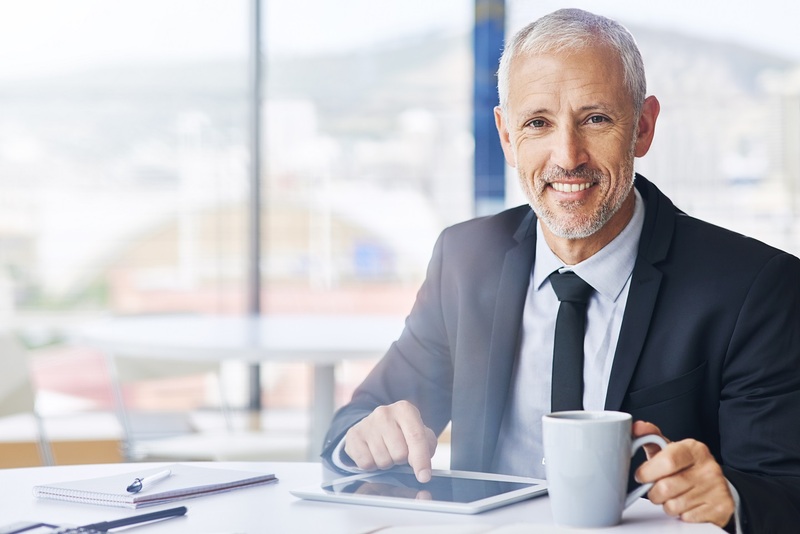 Benefit from the easy connection to your clients and their tenants.